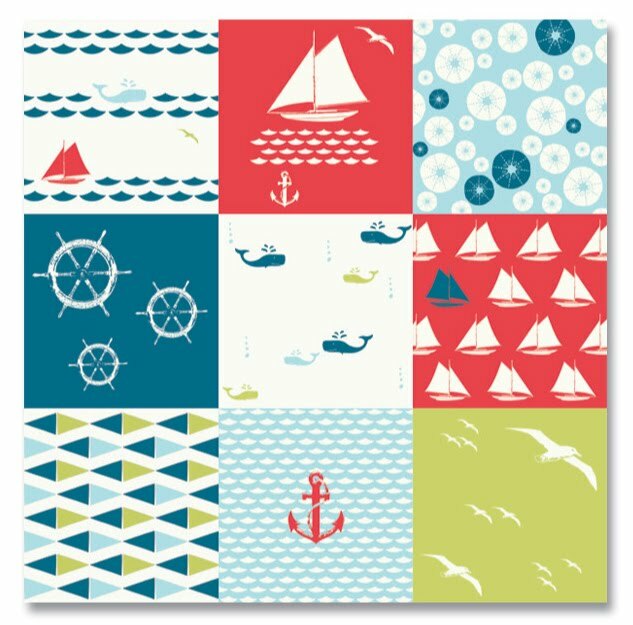 Please join us at Quilt Market in Kansas City… We have lots of surprises, including this new premium certified organic collection called “Set Sail” by Jay-Cyn Designs. Just a teaser for now, but come check out the full collection at quilt market, we are in booths: 726 and 728. We can’t wait to see you! Ooh cute, I love that anchor fabric! I'll have to stop by the next time I'm in town.